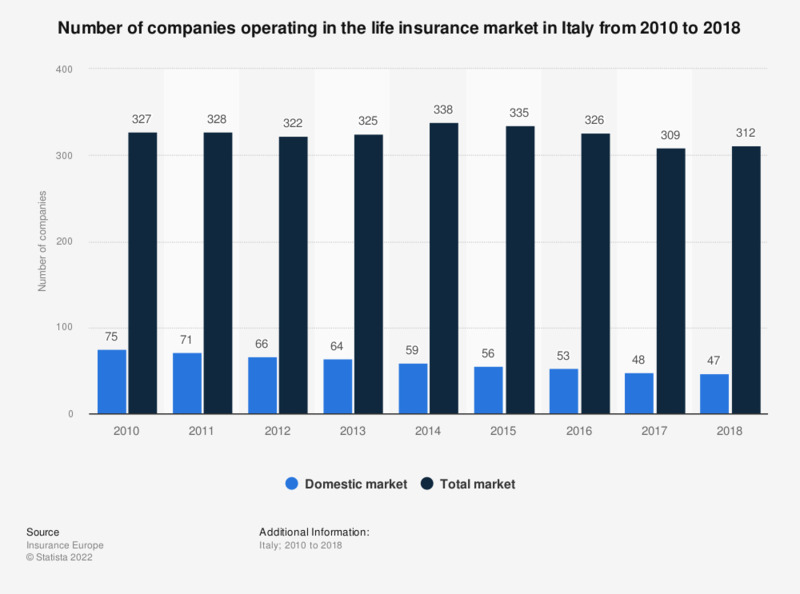 The statistic shows the number of companies operating on the life insurance market in Italy from 2010 to 2016. Throughout the period under observation, company numbers decreased overall. At the end of 2016, there were 53 companies operating on the Italian insurance market and 326 operating on the total market. Domestic market: the reported numbers for Domestic companies with the head office in the country and Branches of non-EU/EEA companies operating on the market. Total market: the reported numbers for Domestic market, Branches of EU/EEA companies established in the country & Companies operating in the country through FOS.